The majority of our ongoing activities and information are not translated into English. Therefore we would kindly ask you to contact us to find out more about our ongoing activities. Below you can find documents and press-releases available in English. 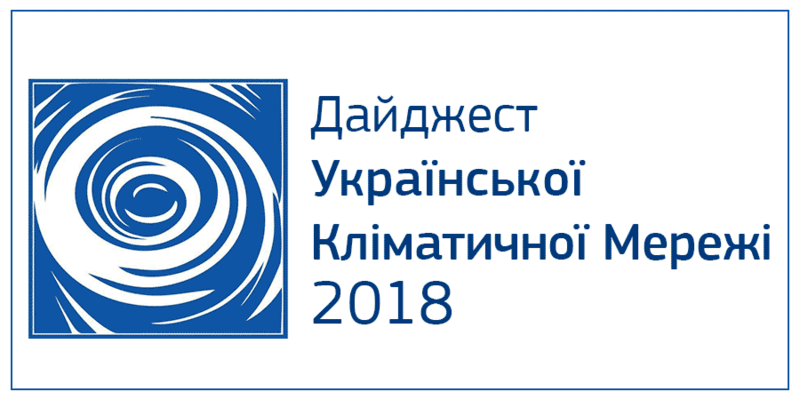 Ukrainian Climate Network released statement on national climate policy in regards to COP24. Main messages are following: the government must make an official statement about review of contribution to Paris agreement, Ukraine has to make a just transition transfer to a 100% renewable energy until 2050. Ukraine ratifies the Paris Agreement. This decision of the Ukrainian Parliament can help Ukraine to increase energy efficiency and develop renewable energy sources while providing access to international aid. Hundreds of hospitals and schools in Ukraine will remain uninsulated and thus barely habitable at cold seasons, as the respective line in the newly approved Ukraine’s state budget for 2014 was extremely reduced. 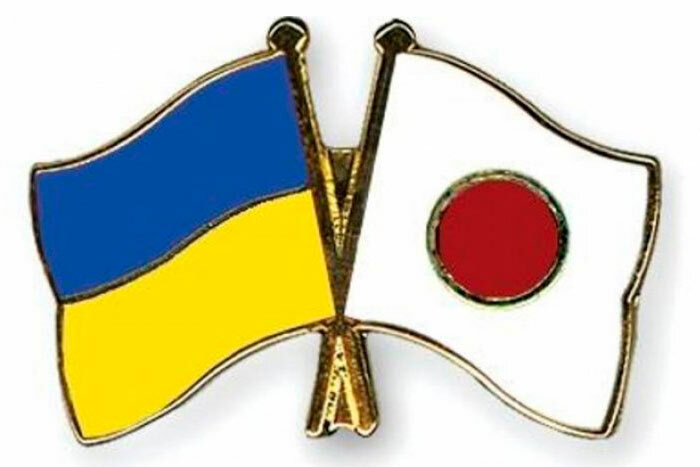 As of early October 2013 there was remainder of EUR 180 million of EUR 470 million on the account of the State Treasury Service of Ukraine from operations under international emission trading of Kyoto Protocol. But State budget of Ukraine for 2014 provides only UAH 5 million to finance thermal insulation of social purpose estate. Moreover, this also expects to cover costs for “the development of international cooperation on climate change”. Ukrainian environmental organizations appealed to Ukrainian Government and Euro 2012 National Agency of Ukraine to incorporate environmental standards into planning for the 2012 Union of European Football Associations (UEFA) European Football Championship. Regardless global call for actions for the post-2012 period Ukrainian government plans to increase its GHG emissions by at least 50% by 2020. At the same time Ukraine calls all other countries to take emission reduction targets. 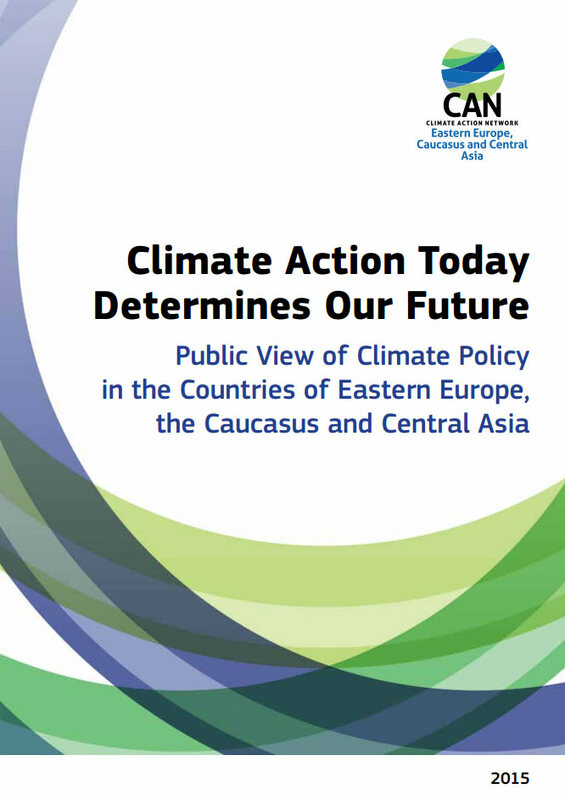 This brochure contains cases of implementation of climate change adaptation activities in Dnipropetrovsk, Odesa, Lviv and Zakarpattya regions. We believe that the experience gained will be an example and a motivation for other communities in Ukraine and abroad who want to start the process of adaptation to new climatic conditions. National Ecological Centre of Ukraine monitors state activities of implementation economical mechanism in climate protection since 2005 and offers analysis of green investment scheme projects at public buildings under international emission trading scheme of the Kyoto Protocol. Prepared report shows the results and the progress with implementation thermal rehabilitation projects in public buildings. 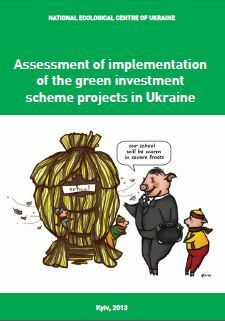 Conclusions about the practice of introducing green investment scheme in Ukraine is largely related to other state tools for stimulation energy saving. Therefore, the decision-making bodies of the executive and the legislature should consider the listed mistakes and take into account proposed recommendations. The National Ecological Centre of Ukraine presents study “The Integrity of Joint Implementation Projects in Ukraine”. 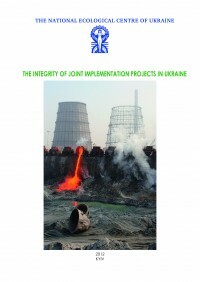 The aim of analysis the joint implementation projects in Ukraine is to point out to the flaws in the current mechanism. Ukraine is a leading JI host country and the biggest supplier of Emission Reduction Units. According to available experience with Joint Implementation Projects in Ukraine proposed possible solutions how the system could be reformed in order to stimulate the implementation of efficient GHG emission reduction measures that would not take place in the absence of JI. The National Ecological Center of Ukraine, as member of the Working Group of Ukrainian NGOs on Climate Change introduces Review of funds expenditure obtained under the international emissions trading in Ukraine. In this paper compares declared quantities of greenhouse gas emissions reduction and financial cost of project implementation, also featureres of green investment scheme in Ukraine here described. Working Group of NGOs on Climate Change сalls for the government of Ukraine to introduce an ambitious position for international negotiations on climate change, aimed at solving global environmental problems. In the last few years, several studies have emerged on the emissions reduction potential for Ukraine. Some of them have been prepared by the government bodies (e.g., National Communications and government-funded research projects) and others by international organisations (WB and IIASA). The studies generated different results depending on the initial assumptions adopted and methodologies applied. The studies have serious political implications and the government is constantly referring to some of them to provide the rational for the official emissions reduction target for Ukraine. Current GHG emissions of the country are lower by 54% than the baseline 1990. Therefore, the official emissions reduction target of -20% by 2020 (from 1990) aims to secure the room for further increase of GHG emissions. National Ecological Centre of Ukraine (NECU) decided to prepare a review of studies on GHG emissions reduction potential aiming to provide a comparative analysis of the available estimates. You can download the review and summary to the review. The objective of this report is to analyze negative social, economic and environmental impacts of coal mining and combustion. Special attention is given to the problem of greenhouse gas emissions and emissions reduction policies and technologies. The report also contains recommendations for improvement of energy policy and strategic development of the coal industry. Hopefully, relevant government authorities will take our suggestions into consideration. This report might also be useful for public organizations. NGO Working group on climate change express view of the negotiations Ukraine is holding with international financial institutions for ecological projects and its implementation. The letter was sent to European Bank for Reconstruction and Development (EBRD), European commission (EC), European Investment Bank (EIB), International Monetary Fund (IMF), World Bank (WB). NGO Working group on climate change presents a short critical overview of the position of Ukraine on climate change mitigation for post-2012 negotiations. In the documents are represented main issues about official position of Ukraine and what does it mean in reality. Ukraine is among the top 20 largest producers of greenhouse gasses. The national economy is inefficient, the amount of energy wasted enormous. Scientific expertise for addressing the consequences is hardly available; awareness among political class and the general public is poorly developed. This offers non-government organisations solid starting points for their work. At the state and grass-roots level, the climate is changing: There is growing sensitivity to the fact that Ukraine must also make a contribution to reducing greenhouse gasses in order to fight climate change. Presentation by Iryna Stavchuk, April 2007.